Dancing with wolves seems like an intangible dream for any wildlife lover, especially if you are not a Native American or an American Civil War lieutenant. But what about talking with wolves? Well, there are much better chances of experiencing that. You only need to spend some time with a WWF wolf monitoring expert and be ready to wander through the darkest forest in perfect silence, guided only by moonlight and innate instincts. A few lucky journalists have just had this incredible experience by joining the WWF-Romania conservation team in the Transylvanian woods. Journalists from Romanian media and the BBC took part in two wolf howling tours organised under the auspices of the LIFE Euro Large Carnivores and TRANSGREEN Projects, both funded by the EU. The expeditions were led by Cristian Remus Papp, large carnivores monitoring expert, and Wildlife and Landscape National Manager at WWF-Romania. If you are a city person, hiking through the forest at night might be a heart pounding and weird experience in itself. You need to walk along trails and climb hills while keeping as quiet as possible. At one point, you will be requested to turn off your torch or headlamp, switch off your phone, and stand completely still for a 10-15 minutes. A moment of perfect silence will follow. You will only hear a familiar but forgotten sound: your heartbeat, accompanied perhaps by night birds and the wind rustling the tree branches. Then the silence will be broken by a loud wolf howl bursting from the megaphone held by the wildlife monitoring expert. That is a powerful moment. It is like all the ancestral fears hidden in your blood are yelling at you to “Run!” However, the tremendous curiosity and the adrenaline rush keep you there, all ears and eyes, trying to capture the slightest hint of a real wolf howl. Often, the dogs in the far away villages will reply with furious barks. Some of them will even try to imitate their forest cousins. There are also times when locals grab their rifles and go outside to protect their livestock. But the wolf is cautious, and does not usually answer the first call. You keep on going, find another hill and, after several attempts, when you are about to give up, a slight but clear howl of a wolf responds from far, far away. Wolves respond to simulated howling, especially during mating season or when they teach their offspring how to defend their sacred territory. Simulated howling surveys are, therefore, commonly used by many wolf researchers around the world to estimate pack numbers and the presence of adult wolves and pups in a given area, and also to complement information obtained using other methods. Sessions start at dusk, and are repeated until around midnight. Rainy or windy nights are avoided because wolf response and howl audibility would be reduced. At every howling station, the researcher howls at 2-3 minute intervals for 10-26 seconds until either there is a response, or they have failed to elicit a reply in answer to a series of 5 howls. 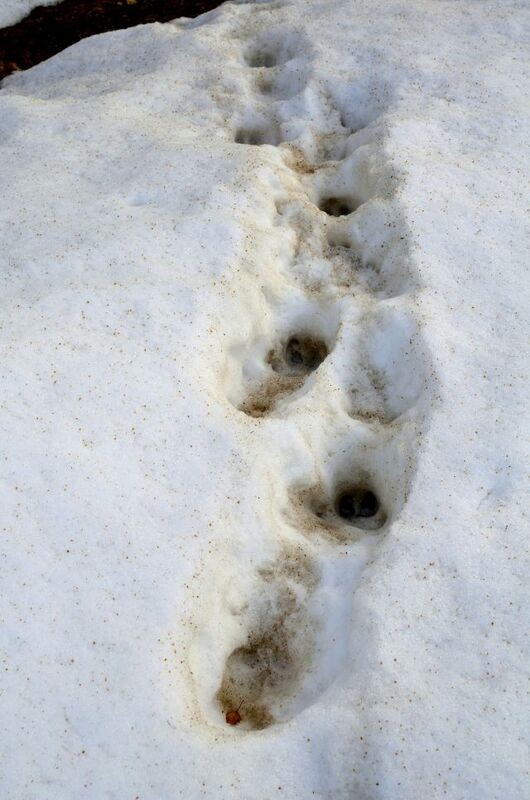 When no response is obtained, the researcher searches for other indicators to assess possible pack presence and breeding; for example looking for tracks and other markings during the day. For the journalists invited by WWF, it was a once in a lifetime opportunity to listen to the voice of wildlife. In the company of experts, they left the fairy tale of Little Red Riding Hood behind, and listened to the real story from the first row. It was also a great occasion for them to focus on the reactions of people around them (amazement, fear, preconceived notions) - the same feelings that often lead to poor decisions which result in a negative impact on wildlife. Who will fight for you when wolves and bears attack your sheep? A fierce bodyguard trained for millennia for this dangerous job. 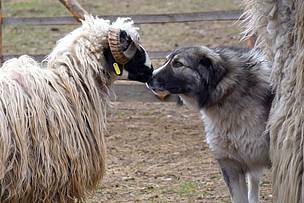 His name is Doru – a Romanian Carpathian Shepherd Dog who protects a herd of sheep in the Apuseni Mountains. Visiting the habitat of wolves was just the introduction to the story about human-large carnivore co-existence in the region. Another day during the press trip, the BBC team and other journalists met Doru and his proud owners, Cosmin and Alin Alboni - shepherds from Bucova, a village in Caraș-Severin County. Doru and his female companion – Prada – were donated to the Alboni family by Flora and Fauna International (FFI) as part of a local project focused on measures to prevent human-large carnivore conflicts. Livestock owners in the area lose around 13-15 sheep to large carnivores every year. “Since we have Doru and Prada, we haven’t lost a single sheep. This is 100% protection for our animals - a great achievement,” says one of the shepherds, proudly wearing his traditional long sheep wool coat. Not only did his furry companions reduce livestock losses, but they provided a precious offspring - a pure breed Romanian Carpathian Shepherd pup whose market value is around 300 Euros. As a result of the good care shown to the dogs, the Alboni family received a certificate authorising them to establish a kennel. Now they can reduce their costs by selling puppies to other shepherds. Our press trip concluded with a visit to a local beekeeper in Petriș village, Arad County. 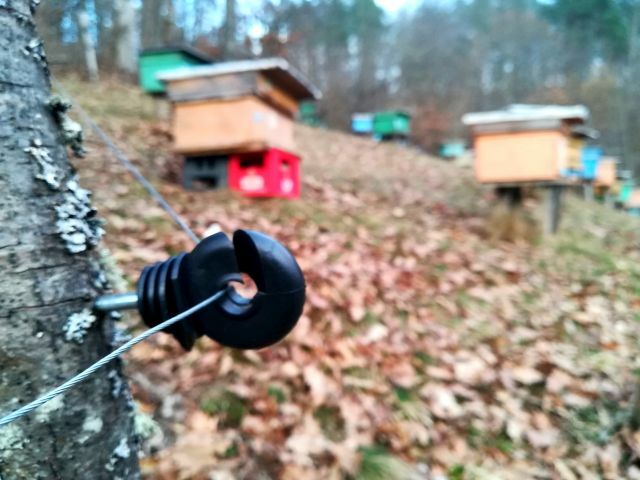 Victor Bulzu, an experienced beekeeper, applied special measures to protect his beehives after bears began to reappear in the area. Recently, an apiary from the same area was attacked by a bear and several families of bees were destroyed. With the help of the Zarand Association, Mr Bulzu installed special electrified fences that are keeping the danger away. WWF will continue to support and conduct showcase, practical activities such as installing electric fences and donating specialised guard dogs to locals within the framework of the LIFE Euro Large Carnivores Project. Taking the proper, sustainable measures to protect livestock and maintaining them carefully, can ensure a good, long-term co-existence between local communities and large carnivores. The LIFE Euro Large Carnivores Project is funded by the EU and aims at providing a platform for exchange of best practices on human-large carnivore coexistence among various stakeholders across the European Union. More than 16 countries cooperate and share knowledge and information across borders: from different approaches to manage social, economic and ecological challenges that come along with wolf, bear, lynx and wolverine, to practical solutions like livestock protection.